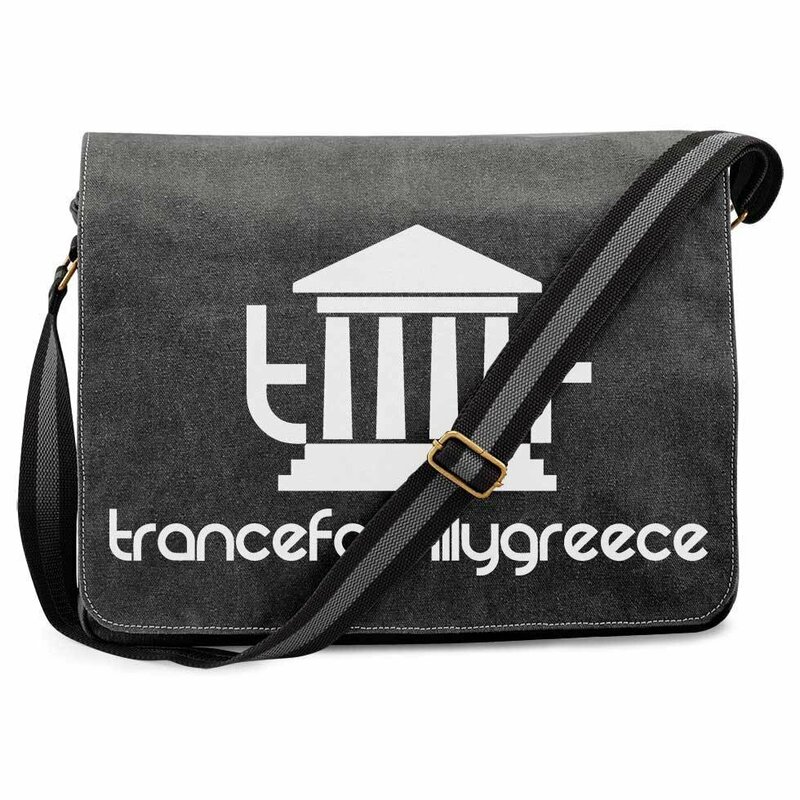 Trancefamily Greece Messengerbag (Vintage Design) | Trancefamily Greece | Fanshops | Merchify.de | Next level of merchandising! Stylish Messenger Bag in vintage look with a large "Trancefamily Greece" print. It is the perfect storage for your Notebook, snacks, drinks, small electronics and all you need in your job or free time.